Dawsonville Moonshine Distillery is a legal moonshine distillery, located in the heart of Dawsonville, GA, “The Moonshine Capital of the World”. Traditional distilling recipes have been passed from generation to generation for more than a 150 years. Today, grand-daughter Cheryl Wood runs Dawsonville Moonshine Distillery. 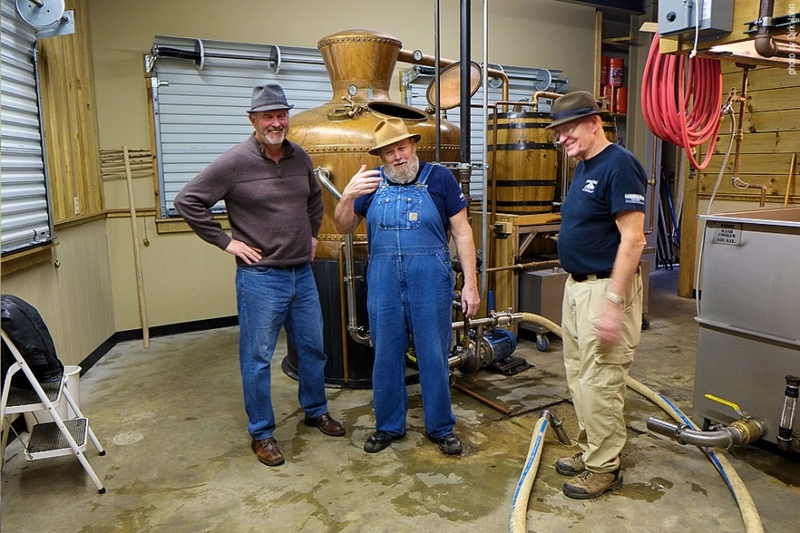 They currently operate under the name Free Spirits Distillery – a nod to Cheryl Wood’s grandfather, Simmie Free, and the other ‘free spirited’ moonshiners of the Appalachians. 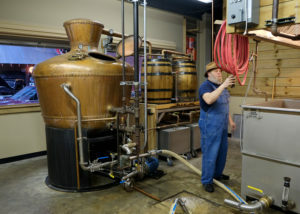 Dwight “Punch” Bearden is a fourth generation distiller from Dawsonville, a backwoods distiller that can make authentic, “old timey” recipes come to life. 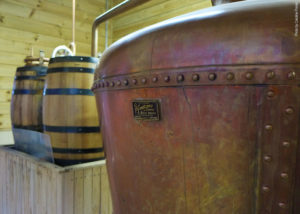 The distillery offers tours and tastings at their facility close to Dawsonville’s City Hall and the Georgia Racing Hall of Fame.